We are working on some future high speed routers with around 100Gbit throughput, and we would like your input on what types of ports you would want to see in such devices. I didn't know what ASIC you are looking at, but I'd prefer an ASIC/SOC with less CPUs (1big one instead of 72 small ones) According to that slide from Cavium, the biggest highend ASIC is only 500$, so it would be absolutely possible to build an inexpensive highend router, although this means multiple CPUs and therefore single thread performance isn't that great. Last edited by anuser on Sat May 13, 2017 9:46 am, edited 10 times in total. I think that would be a great idea some group of port be on a expansion slot so we can change the type depending on our needs. What format do you mean? I think that would raise the costs for those routers too much. Fixed configurations would be a less expensive solution. 1x product design / mainboard with different ports attached to the ASIC. Router with 24 port? Really it not a over port config for a router? You can already use a high end PC as your router. The advantage of specifically manufactured hardware is that manufacture can test it at the specific configuration. If you take that away, is becomes the same as any other PC where you have no driver support. One mainboard and slots for different daughter cards .... are we going to be CISCO/Juniper like ? And this is a problem? What's wrong with giving the big boys a run for their money? In an other post, I had suggested a chassis with slots, like the Cat6500 family. In previous MUMs, consultants have talked about replacing Cisco with MikroTik boxes. I think MikroTik is going on the right direction. Stackable is also a great idea. Grow your network with your business. Off topic, MSTP (pvstp, 802.1Q) pleeease! If you're going big, go all the way. ...One mainboard and slots for different daughter cards .... are we going to be CISCO/Juniper like ? Not at all.... havn't you spotted ? Stacking could be even the first step to HA funcionality which is missing for ROS. I dont think high end routers should be based on Cavium processors. They have low freq upto 1.2Ghz and some specific RouterOS tasks require higher clock speeds such as simple queues, BGP, PPP etc.. So unless RouterOS is highly multi-threaded in such scenarios like to be used as a PPP concentrator etc.., I would prefer some different architecture than Cavium which will provide higher clock speeds instead of super-high multiple cores with low clock speeds. The above *NEED* to be able to do line rate for IP/IPv6/MPLS traffic, or close enough to it (like the way UBNT does by using an Octeon ASIC to get a decent level of mpps, although UBNT doesn't do MPLS at the mpps level. We need MPLS at that level too). Or please support the following chipsets from Broadcom. The Trident II and the Tomahawk. A 'tik equivalent to the Juniper ACX1100, or an equivalent to the Cisco ASR-920-12SZ-IM. A 'tik equivalent to the Juniper ACX5048 would also be fantastic. Personally, I'd be interested 2x QSFP and the rest with SFP+ and the obligatory Management Port paired with a rs232 for console access. The pair of QSFP would provide redundant access to e.g. core switches, while the SFP+ would connect to ISP, DMZ, or further routers/firewalls/gateways. In regards to the PoE-in functionality, I very much doubt that even PoE+ will provide sufficient power. PoE++ / 4PPoE on the other hand just might. I'd much rather see a pair of redundant hotswappable PSUs with a bit of headspace. Speaking of hotswappable: I think we'd all love hotswappable fans. QFP28 Can do 1x100G or can be broken out into multiple 25G. QFP can do 1x 40G or can be broken out into multiple 10G. - Trident/Tomahawk is meant for switches not for router. The ccr1036 with two SFP+ (10G) ports based on speed tests is working great. Going forward more ports is better and support for QSFP ports would allow additional networking options. I have not tested the CHR yet beyond the SFP+ (10G) ports in my btest CHR but suspect scaling is allowed based on licensing, currently a p10. I really like this topic !!! Where there is a minimum of two stack ports per device (or four ports) , which enables the ability to stack more than two Mikrotik devices. Where there is a new Mikrotik stack interface using normal copper RJ-45 connectors and cat6 compatible (and possible cat7 or cat8 compatible. Where stacking could enable two stackable Mikrotik routers and possibly two stackable Mikrotik switches to act and behave as a single device. Where there could be an option that if these copper RJ-45 stack ports are not used in a stack configuration, then they can alternately be used in a 10-gig copper Ethernet environment. With high-speed stack ports, it would then be possible for Mikrotik to offer a lower-cost basic system, then additional Mikrotik devices could be ordered later, or as/when new Mikrotik stackable devices come out, then can also be added to the stack. Where with the base system, it is possible to bring up a small--to-medium--to-large number of interfaces by adding to the Mikrotik stack interfaces. Where a 48 port 10/100/1000 Ethernet option is simply a new stacked device. Where a 12 to 48 port SFP interface is simply a new stacked device. Where a 12 to 48 port SFP+ interface is simply a new stacked device. Where additional 12 port 10-gig copper Ethernet interfaces can be added into the stack. Where it would be possible to have up to four (or more) 10-gig fiber (or copper) which are remotely separated to have greater than 10-gig throughput. - For faster than 10-gig interfaces (not including stack ports), I would like see the most common/compatible/popular/standard interface used. - Possibly one to four PCI card slots for future cards/interfaces. There may be a desire to use an already existing PCI card in a Mikrotik - where a quick/simple ROS driver could bring up the PCI card device/interface. Where the AC power supplies are NOT built-into the new Mikrotik - but instead the AC power supplies are standard telco-48-volts out and then connected to the new Mikrotik. - Future ROS firmware/software for true VRF interfaces/routing tables (similar to how Cisco handles VRF interfaces/routes without injecting routed/IP-addresses/MAC-addresses into the entire system. Where it would be additionally possible to also have a VRF interface for true out-of-band management interface on a router. Where multiple independent VRF routing tables and interfaces to not see each other and are not seen by the base system. With VRF features, I suspect a MetaRouter feature will not be needed or even desired. These new VRF features should support the normal stuff a network configuration will probably encounter - such as VRF to VRF bridges & VRF DHCP & VRF NAT & ability to bridge VRF interfaces to other VRF configurations & bridge VRF interfaces to live interfaces & bridge VRF interfaces to non-VRF interfaces. - This is a MUST ... The ability to perform full BGP and quickly handle all BGP routes (without the need to upgrade something at the BGP tables increase and more BGP interfaces/peers are added. Possible idea ... Ability to run full BGP under a VRF environment instead of under the non-VRF environment --- there can be some huge advantages to a VRF BGP environment. And possibly the ability to run multiple independent full BGP environments to multiple up-stream connectivity peering networks. - Two platforms at first. A low cost (fewer interfaces & devices mounted to the motherboard. Something most of us -and- our customers can afford without breaking our budgets. A high-end high-throughput version (exact same motherboard - just with faster parts and all the interfaces mounted on the motherboard. This simplifies production and the low-cost version gets the product out in the field quicker to the engineers who want to test-drive it in a LAB or evaluate in production. - When this low-cost stackable configuration starts to take off and becomes desired and popular, then a blade version of the same thing could then be latter designed which would then use a high-speed back-plane between cards. By starting with a stack interface (instead of a blade back-plane), the initial costs would be lower. Later, when a pattern and market develops for an even faster version, then the basic designs could then be slightly re-engineered to use a back-plane in a large chassis (which is more expensive/faster). Stacking existing and older Mikrotik devices (some with less memory and flash and slower CPUs) could be possibly done with a RO-Stack OS, where the new OS has everything but the minimum necessary software drivers to enable the new RO-Stack OS to participate in the stack and deliver the interfaces over an Ethernet stack interface. This would add value to all existing Mikrotik devices because a fork-lift replacement would not be necessary to get started with this new "Mikrotik stack head-end device". - With a stack interface (using a normal Ethernet interface), it would be great to have all existing Mikrotik ROS devices support 1-Gig or 10-Gig stacking. This adds value to all existing Mikrotik products already in production and already in use. EDIT/add - If stack interfaces are considered - the stack interfaces do not need to support power over the stack. Each stack device should use it's own (48 volt or AC) power supply. EDIT/add - A possible hardware reset-/-reboot watchdog. The ROS (or what I would like to call it the RO-Stack OS) could do something like a Netwatch IP ping or something) to keep resetting/clearing the hardware watchdog. If the ROS ( or RO-Stack OS ) locks up - crashes, then the hardware watchdog will continue counting down to zero which could then trigger a full-blown reboot - resulting in an auto-recovered system. The slave stacked devices could also participate in the primary watchdog. Possibly by using a reset wire in the RJ-45 stack cable. Thus, a reboot command on the primary master stack device could possibly reboot everything in the stack if wanted/needed. EDIT/add - Clarification - When I refer to stacking using Ethernet ports , I am not referring to stacking using IP. It could be something like MAC to MAC. Where the master stacked devices knows the MAC address of everything that is supposed to be in the stack and what it is. The hardware Ethernet switch chips (or ROS software bridge if necessary on old devices) could be used to re-distribute the stack data at wire-speed to other stack ports. It might be even possible to allocate/use a special Vlan for the Ethernet connector(s) stack interfaces. EDIT/add - Optional - faster than 10-gig stack ports could also be combined and also work with 10-gig or 1-gig interfaces. Possibly, the administrator simply just defines what ports are used for stacking instead of being normal interfaces. This makes it flexible for how the ports are used. With user/administrator selectable stack ports and with the ability for the master stack device to talk to different stacked slave devices at different speeds, the system would never become obsolete - instead it just becomes bigger faster and more desirable for commercial business use/installations. EDIT/add - slaves on the stack only need to be configured to know the MAC address (or auto-discover) the master slave interface. The master stack device should hold the entire configuration for everything and be as simple as making a backup on any other Mikrotik. Last edited by TomjNorthIdaho on Sat May 13, 2017 2:49 am, edited 8 times in total. Considering that new SFP28 ports should be able to support old SFP+ modules, how about a CCR2572 with 8 x SFP28 ports as a direct in-place upgrade for CCR1072? Then bring it up a notch and create something like CCR10072 (yes, that's an extra zero) with 8 x SFP28 + 1 (or 2?) x QSFP28, although it would probably need a better CPU. Then let's talk datacenters - how about a new 16 x SFP28 + 2 x QSFP28 switch with enough CPU power for some OSPF/iBGP routing experiments? Last edited by hush on Sat May 13, 2017 11:05 am, edited 1 time in total. If we could have CPU-board with ROS kernel separated from interface cards then we can easily upgrade router without changing any rule. Do you need more pure CPU power ? Just replace CPU card. More memory ? Add it. Hard disk or any permanent storage ? Add storage card. @TomjNorthIdaho you win the award for the longest post but it sounds like you want a x86 server. Normis, thank you for asking for our opinions. - Meet lower cost requirements, e.g. cost sensitive customer could buy base router + 1 PSU + 1 module card. Baller customer could buy base router + 2 PSU + 2 module cards. Spec1 For people who have exiting 10gigabit networks and do not need higher performance. Spec2 For people wanting higher speed per "wavelength" or to future proof themselves. This will allow 100gigabit throughput via the 8x SFP28 (4in, 4 out) or the 2x QSFP28 (1in, 1 out). It would also mean you could interconnect to other locations via redundant QSFP28 connections and then use SFP28 to connect customers, or to other equipment in the same DC. I put the 1x Gigabit Ethernet on both of them, as this can be used to netinstall the routers, and for out-of-band management. IMHO sfp+ on router more than enough. Maybe not a specifica high speed router, but a PoE switch / router model which has configurable PoE voltages. So that for example a Cisco or HP switch can be replaced by a Mikrotik. So I want to select the power voltage output on each port. Port config, I'd like to see 16 or 24 ports SFP+ with an option on a couple of higher speed ports for interconnection. Most importantly though, if its a rack model, it MUST have internal psu, with an optional secondary. No more damn wall warts in the rack! This router sounds like the Next Gen CCR. The current CCR have internal PSU so I can't see Mikrotik changing now for no reason. My wishes are for user replaceable PSU on the new product line, so that PSU can be replaced without removing the router from the rack. And for -48volt DC input like the new RB1100AHx4 has this way they can be used in Telco co-lo rooms and road side cabinets that are almost always -48volt only. Normis, every RM Router Should have a DC power option! I respectfully disagree. Those chipsets from Broadcom are fully functional and capable routers. I was hoping Mikrotik could jump into the bandwagon to disrupt Cisco/Juniper/Nokia and bring down the overall costs of networking. Eventually I'd like to start an ISP business, but well.....equipment isn't exactly cheap. That being said, it's not equipment that bothers me so much as having to grease the wheels by buying political power to get right of way and whatnot. 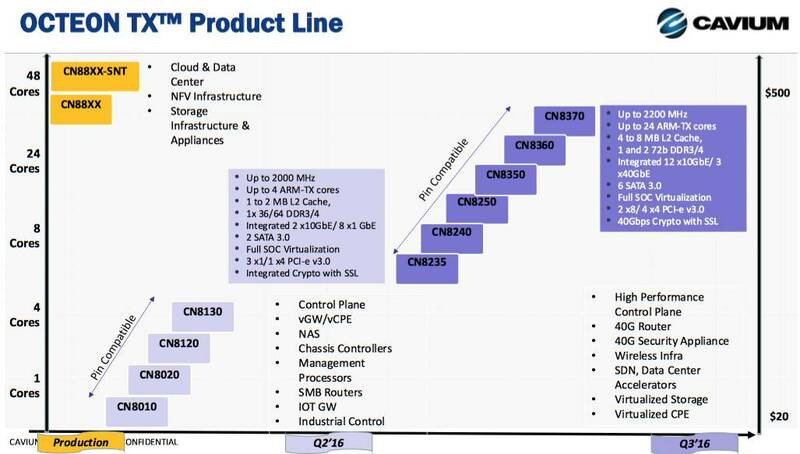 The chipsets from Broadcom are being used in "routing switches" e.g. Brocade MLX/VDX, Nokia 7210 SAS-T/M and certain Arista switches. They are great for fixed scenarios but are not good as a "General Purpose" router, and have some pretty hard limitations. e.g. Broadcom Trident II can do VXLAN and QinQ and vlan re-write, just not all together, and due to everything being "baked" into the silicone, that cannot be changed. Mikrotik have a lot more experience now than when they started the CCR project, so I am confident they will select an architecture that is suitable for use as a general purpose router. Yes, they are layer 3 "routing switches". Basically routing functionality bolted on. The reason I was looking more at those is because that limitation that you're pointing out (which does exist) is one that GENERALLY isn't hit too often.I was more looking at the MPLS/VXLAN/QinQ/translational as features that can be done at line rate. Usually one would need one or the other, but not all at once. Now I am not pushing super hard to get those chipsets, I'm just more investigating and seeing if they are a fit. I personally would love to see line rate from Mikrotik. Or near line rate (which the Tile GX approach). Something I was always hoping for was like a CRS226-24G-2S+RM chipset with the Tile GX for forwarding. Or CRS125-24G-1S-RM with Tile GX. Or even the smaller ones like the CRS210-8G-2S+IN. In additional to as many high-speed ports as you can cram into the box either a line-card slot or just a bank of regular 1GB Ethernet ports can be extremely useful to designers and provide a high level of flexibility. Something like 6 - 12 x 1GB ports wouldn't hurt the back-plane of the box significantly I imagine. Something I hated with the earlier Cisco ISRs and even somewhat today is the difficulty to obtain the number of ports necessary to do anything other than trunk down to a L2 switch below it if you are doing anything more than a typical edge router with NAT. This is already a strength with most of your devices shipping with 4+ ports. However, I will add that ASIC limitations are no longer an issue for any of the newer whitebox switch gear running the Barefoot Tofino chip as the ASIC can be programmed on the fly with the P4 language. Barefoot is being put in switches that would have otherwise run a Trident 2+ chipset. @IPANetEngineer I completely agree, the Barefoot Tofino is one of the most interesting developments in networking in the last 10 years. It will be interesting to see what products make use of Tofino in the next 18 months. I assume that chip is a bit larger scale than Mikrotik is looking to go... given that it handles 65x the performance Mikrotik hinted towards in the initial post. The question was on a router and around 100 Gbit throughput. I'd think that would limit it basically to two QSFP-Ports (probably often used as "upstream"). I'd further propose 6x SFP+ - ports and additional 8x 10G copper (10GBASE-T) for compatibility with existing (even GBit) connections. I'd liked an extra (GBit) management lan port and serial connection, too. It probably makes sense to have (at least optional, if need be external) redundant power supplies as well. And go compete with china? I think you should stick with wireless stuff, and maybe build a quality FDM full-duplex system with sub-1ms ping over 10km. We'd like that. I'd still love to see you guys add VXLAN / EVPN features to your devices.